This video shares an analogy for children to understand how thoughts can take over your mind, and reminds them to breathe “till the glitter settles” so you can think more clearly. 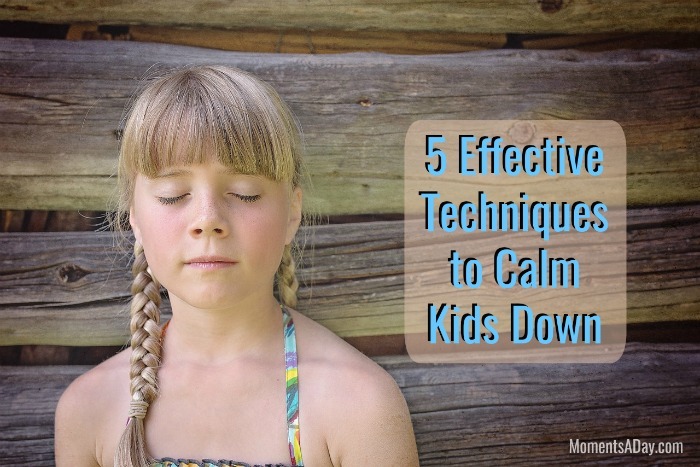 This is a very simple exercise to help children take slow deep breaths. This is a longer relaxation technique that helps children imagine different scenarios and tense/relax muscles all throughout their body. This is a simple visualisation activity which will be enjoyable for visual children. It can be adapted to your child’s interests. This exercise is being shared for teachers to use in order to calm down groups of children, but could also be used with an individual child. Which technique did you like the most? Which might your children enjoy the most?